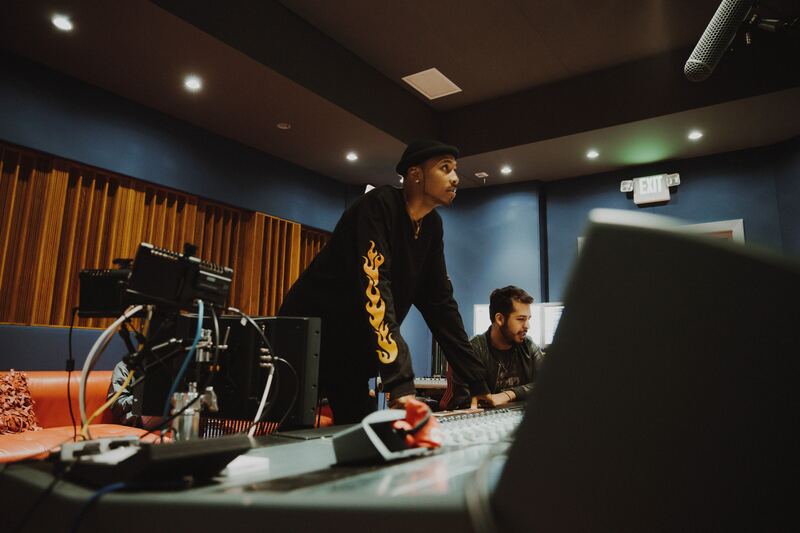 If your passion is the intersection of cutting-edge technology and musical artistry, then one of the many fascinating careers available in the field of music production may be perfect for you. If you’re game for a challenging but rewarding career, consider a career as an Audio Director. Also called Lead Audio Designer or Senior Sound Designer, an Audio Director works in the fast-paced world of video gaming. Like a Sound Designer in a movie, the Audio Director plans, organizes, and supervises the creation of all video game audio, working with developers and designers. You’ll be responsible for the entire soundtrack of a video game, which ranges from sound effects and music to dialogue and background score. Audio Director is a senior-level position in the field of video game audio. You should have experience with all facets of video game development, including audio development, audio implementation, and game design. Looking to bust into a career in music production? A crucial entry-level position on a production audio crew is the Boom Operator. As a Boom Operator, you’re an important member of the production audio team working a film set, helping the production sound mixer by operating boom microphones, selecting and placing radio microphones, and maintaining the audio equipment. To get your start as a Boom Operator, you’ll need an education in audio engineering. With a special emphasis on live sound recording, the Boom Operator often thrives with a combination of advanced education and on-set mentoring. While Boom Ops were once merely manual roles, today’s jobs require more skilled players on the production sound crew, collaborating as a sound technician with the production sound mixer. If you’re hoping to make a break into TV and movie sound production, Boom Operator may be your perfect starting role. If you have dreams of being a high-tech roadie, then Concert Technician may be your perfect gig! As a Concert Technician, your focus is maintaining and setting up all of a musician’s or band’s gear on stage before a performance, helping musicians during a show, and packing up gear for transport. A Concert Technician generally works with established bands with the funds to hire a professional team to care for their instruments. You’ll be responsible for the condition and day-to-day functionality of musicians’ instruments and equipment while on tour. Obviously, this role requires not only an intimate understanding of musical instruments and how to perfectly maintain them for consistent production quality, but also a willingness to travel (if not a case of downright wanderlust). If you have a great ear and a subtle-but-impactful approach to music, Mastering Engineer may be the perfect career for you. Combining technical expertise with an impeccable ear for detail, the Mastering Engineer is the music production artist to make the final adjustments to a piece of recorded music. To work as a Mastering Engineer, you need extensive training in audio technologies, record production, and the ever-elusive “musician’s ear,” fine-tuned through experience and an education from a top music production school. You will also need an intimate knowledge of all of the forms and ways music may be played and enjoyed, so that the final recording works not only as an MP3 but also in physical formats such as vinyl, played through loudspeakers as well as earbuds, streamed on a computer, or played in a movie theater. To begin your Mastering Engineer career journey, you’ll want to start in a more entry-level position in a recording studio or on a postproduction team to gain the skills and expertise necessary for success in this delicate but crucial role. If you’re part engineer, part managerial genius, and part musician, the career of Music Editor maybe your best match. The Music Editor is responsible for editing and syncing the music used in films and television with the action unfolding on screen. As the Music Editor for a film or television show, you’ll oversee creative, technical, and logistical aspects of composing and placing music. You’ll help to determine where and when music will be used in the film or show, coordinate changes with the composer, and even make temporary soundtracks to help with test screenings. For this particular role, it’s not enough to be a logistical wizard. You also need musical training in order to work with soundtrack composers. In fact, Music Editors and composers often work on multiple projects as a team. If your passion for music takes you out of the studio and into the wild, you may prefer work as a Live Sound Engineer, responsible for the sound quality at a live music performance. Working as Live Sound Engineer is vastly different than working with sound on set or in a studio. Leaving behind the controlled acoustic environment of a studio, where mistakes can be easily corrected, a Live Sound Engineer works their magic in the moment. A venue’s size, shape, material, and in-house technical equipment can all create unique challenges for achieving quality sound production delivered to a live audience. Once gear has been loaded in and set up, the Live Sound Engineer runs a sound check to adjust volume, balance, and EQ levels, generally several hours before the show begins. A good Live Sound Engineer combines excellent technical and musical knowledge with practical experience gained through an internship or apprenticeship. Weaving a tapestry of sonic elements, the Mixing Engineer is responsible for combining the different pieces of a recorded piece of music into one final version of a song. The role of the Mixing Engineer is crucial. Using both technical experience and musical artistry, they assemble the various parts of a multitrack recording into a stereo track, leaving a huge impact on the sound of a song, album, or soundtrack. The mix can make or break a piece of music, transforming it from something rough and muddy to a polished final product, sparkling with clarity and purpose. Once they receive individual tracks from the Recording Engineer following a recording session, the Mixing Engineer focuses on three main tasks: manipulating the volume levels to emphasize the elements in each section, enhancing the character of each track with the aid of processors, and adding effects such as delay and reverb. Storytelling through sound is the unique task of the Production Sound Mixer, leading the production sound crew on set and on location. The Production Sound Mixer is responsible for recording high-quality audio to lend impact to every scene of a television or film production. From supervising the choice and placement of microphones, to mixing and balancing sound as it’s captured, to troubleshooting on-location audio issues, the Production Sound Mixer takes a leading role throughout a film or TV shoot. Managing the team of boom operators, sound techs, and cable wranglers is just as important as being a creative sound technician. In addition, when working on a film set outside of a studio setting, the Production Sound Mixer needs to solve complex issues such as boom mic positioning during a movement-heavy scene. For a hands-on approach to behind-the-scenes music production, consider a career as a Recording Engineer. The Recording Engineer manages all of the technical elements of a recording session and is responsible for the overall sound of an album or a song. You’ll work closely with the artist or group and the producer to ensure that the final sound meets the vision of the creative team. The Recording Engineer often works with each instrument separately, either directly as the producer or collaborating with a production team to operate the sound board. Do you possess strong attention to detail? Does having the last touch on the sonic quality of a movie seem like your ideal job? If this sounds like you, then a career as Sound Editor might be for you. The Sound Editor is responsible for the final, polished sound in television, movies, and other productions. The Sound Editor selects, fine-tunes, and puts together three primary components of the finished sound into an integrated soundtrack: recorded dialogue, music, and sound effects. Working frame-by-frame once filming is complete, the Sound Editor begins the meticulous work of building a final soundtrack. Sound Editors select the best sound pieces to accompany each frame of the picture and manipulate them as needed, generally starting with sound effects and dialogue, then weaving in musical accompaniment.